Ray Danniels for, SRO MANAGEMENT INC.
© 2008 Core Music Publishing. All Rights Reserved. ® 2008 Anthem Film & Television/ All Rights Reserved. Ray Danniels, Pegi Cecconi, Sheila Posner, Anna LeCoche, Andy Curran, Cynthia Barry, Rayanne Lepieszo, Bob Farmer and Randy Rolfe. A very special thank you to our great friend John Virant for his continuing support. In loving memory of our own Miss Shelley Nott - you will be with us always. 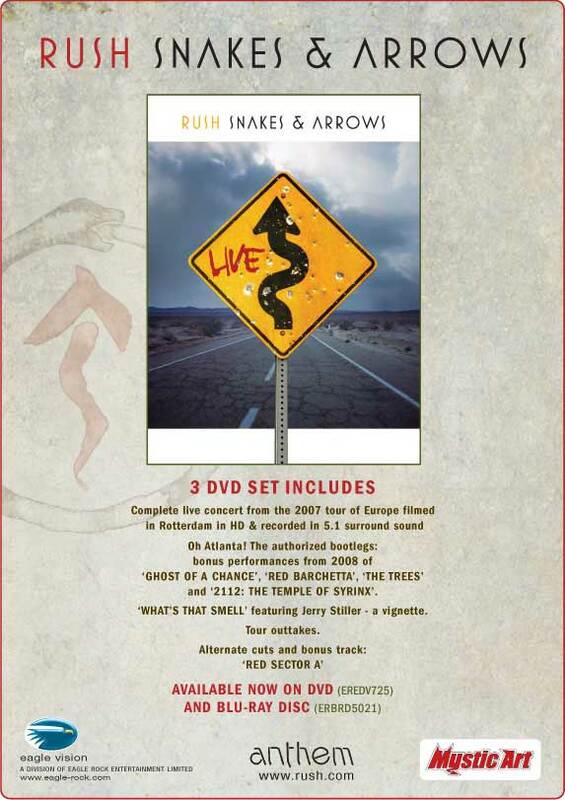 The Snakes & Arrows Live CD edition was released April 15, 2008, to coincide with the second leg of the Snakes & Arrows tour. The first week it charted at #18 in the US, and #8 in Canada. 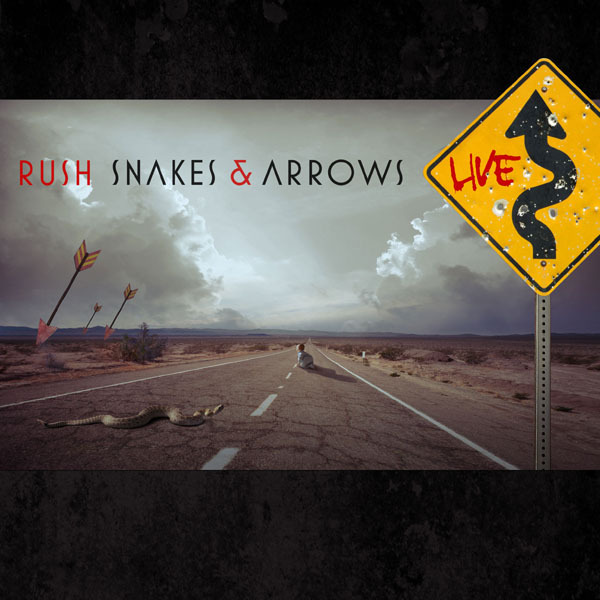 The Snakes & Arrows Live video was released November 24th, 2008, and debuted at #1 on Billboard's Top Music Video chart, selling 25,000 units the first week. 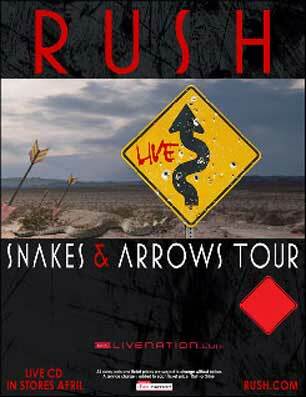 Snakes & Arrows Live is RUSH's first concert film to be released on Blu-ray, as well as a 3 DVD set. Video total run time 221 minutes. 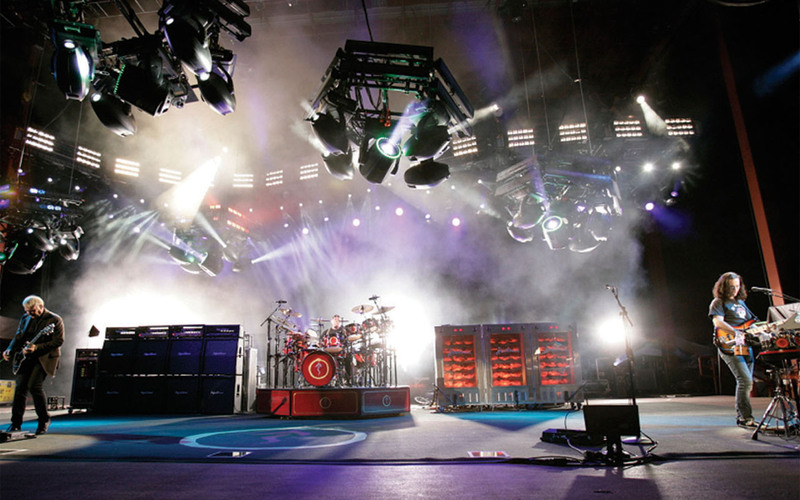 In a complete reverse of decisions originally made with the R30 video release (when eight tracks were omitted from the original DVD release), the complete concert is featured on all editions; in addition, footage filmed in Atlanta during the 2008 leg has been included, thereby adding additional tracks not performed during the 2007 leg of the tour. It is worthy of note that this is the first live release to include either "Circumstances", "Entre Nous" or "Digital Man". To learn how to find the Easter Egg click here. The Easter Egg is a 5:30 montage of outakes and interviews from "What's that Smell?" On the DVD, let the main menu sit idle for two minutes, then Jerry Stiller's head will replace Alex's and he tells you what to do. On the Blu-Ray, on the bonus features menu, scroll down until nothing is highlighted, then hit enter. 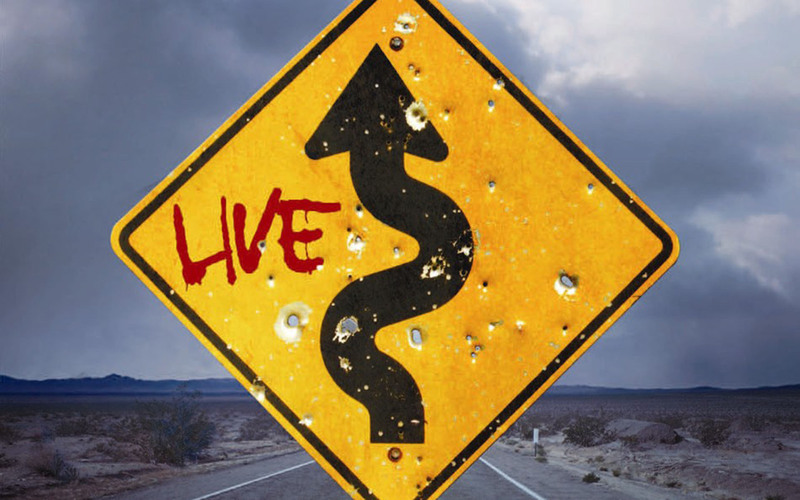 Click here for the 'Snakes & Arrows Live' Transcript Archive. "PRIZE EVERY TIME!" I used to have to call that out, over and over, one long-ago summer on the midway at Lakeside Park in Port Dalhousie, Ontario. "Catch a bubble, prize every time!" The "bubbles" were ping-pong balls with painted numbers that floated on a jet of forced air, like popcorn. You had to catch one with a tiny net, and its number would match the array of shelves behind me, rewarding the bubble catcher with a stuffed animal, keychain, or "magic trick." Prize every time. Back then I was about twelve, and I'm older now, but speaking of prizes (and startling segues), I will never forget first hearing the initial few songs for this album. On a snowy day in March 2006, Alex and Geddy came to visit me at my house in Quebec, and brought a CD of a handful of songs they'd put together in Geddy's home studio in Toronto, with some lyrics I'd sent up from California. It is always a thrill to hear my words sung for the first time, when those dry, printed lines I've labored over finally become charged with life. "Prize every time." 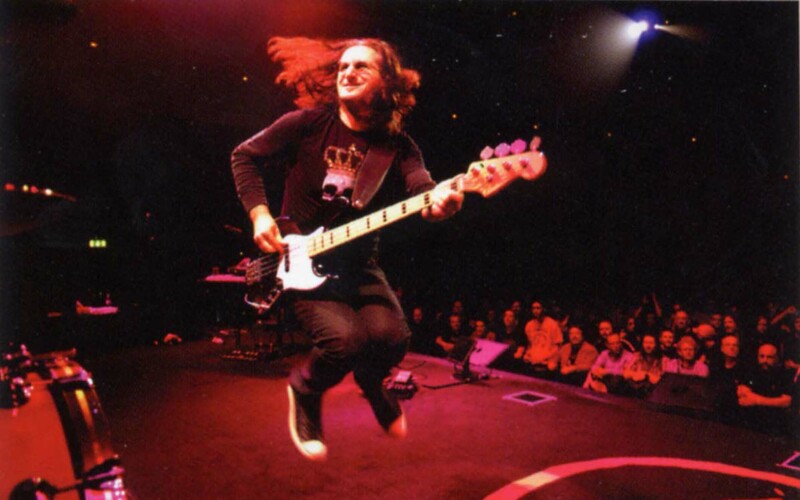 Plus, there's a sense of affirmation in knowing that Geddy found those words worth singing (many are sent; few are chosen). When I first listen to a rough sketch of guitar, bass, vocal, and drum machine, I am hearing it as the lyricist, seeing how the words work, and I am also listening as the drummer, knowing I will have to learn that song and play it, maybe hundreds of times. In a larger sense, though, I'm really listening as a "fan"- someone who wants to love that song. Even on first listen, I felt that way about "Bravest Face" and "The Way the Wind Blows," and I was especially excited by how different they were from anything we had done before?fresh and vital, yet rooted in some deeper musical streams. Three decades of working together have given us wells of experience to draw upon, sure, but perhaps more important are the longer intervals between songwriting sessions, when we can let those aquifers fill. In the early years, it was an album every six months, then every year, then every two years, but in the past decade, for one reason and another, it's been five years between projects. And it seems that with more time to learn and grow, we can still surprise ourselves. Earlier that year, a young American producer heard we were back working on new material, and asked his manager to send our office a CD of some of the music he had worked on. We always like to have a coproducer, and many times we?re looking for somebody we haven't worked with before, for fresh input and new directions. We listened to that CD one afternoon while we sat around the control room of the Toronto studio, reviewing a selection of production work by several candidates. Right away we were drawn to the work of that young American, Nick Raskulinecz, and when we met him soon after, we were drawn to him even more. At thirty-six, Nick was a little younger than us (his mother was a little younger than us! 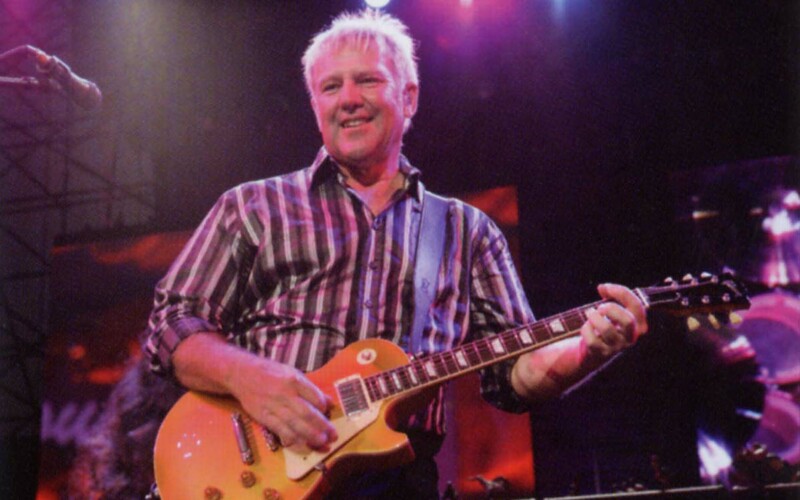 ), but he was also experienced enough, as both musician and producer, to have strong opinions and creative ideas. The three of us quickly agreed to hire him, and once we started work again in September, and had sketched out a few more songs, Nick joined us to review our work so far. He was a powerhouse of enthusiasm, and offered suggestions for the arrangements (one of his frequent lines, "I'd be curious to hear . . ."), helping us to shape the songs more effectively. He also encouraged and elevated our individual performances, challenging us to keep reaching higher (another typical line, "Hey, I wouldn?t ask if I didn't know you could do it!"). 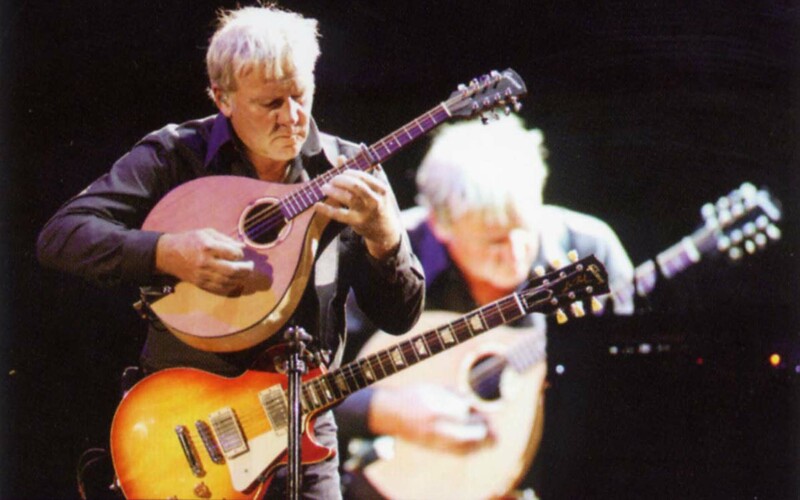 Nick is a master "air musician," equally virtuosic on all instruments (some of them for real, too; he had started as a drummer, then played both guitar and bass in bands, until he gravitated to the production side). 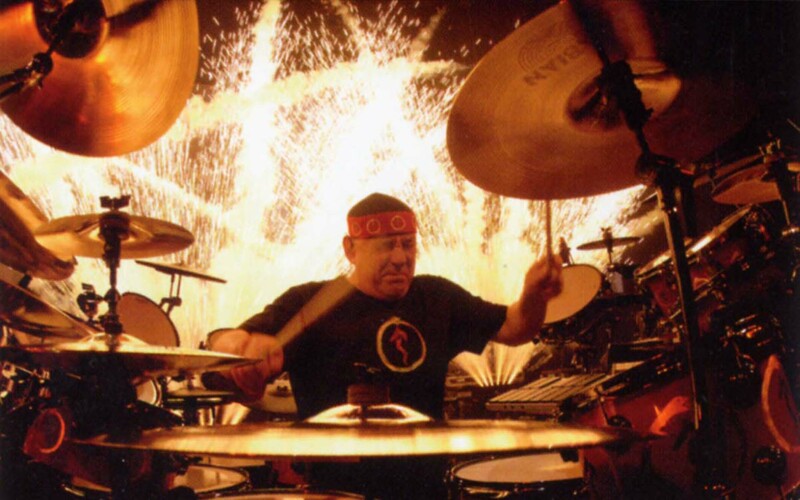 While suggesting an idea for a drum part to me, Nick would use a combination of physical and vocal emulation, arms flailing to something like, "Bloppida-bloppida-batu-batuwhirrrrr-blop-booujze." 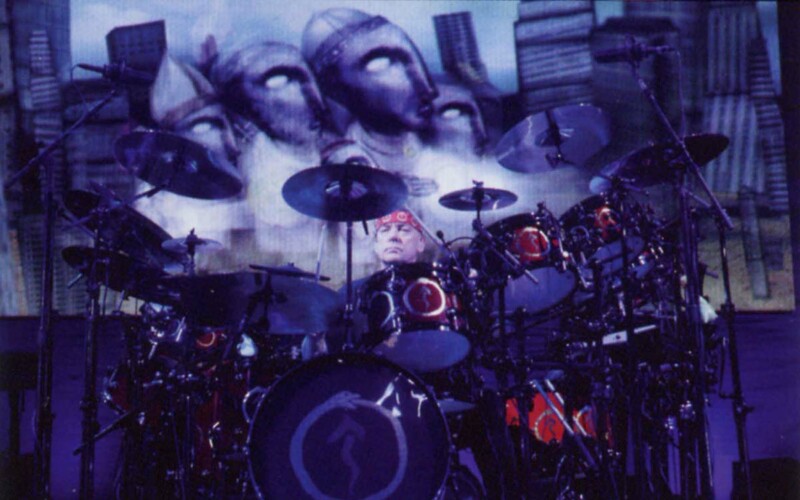 "Booujze" was Nick's vocalization of a bass drum and cymbal crash at the end of that incredible air-drumming fill, and we heard it often. 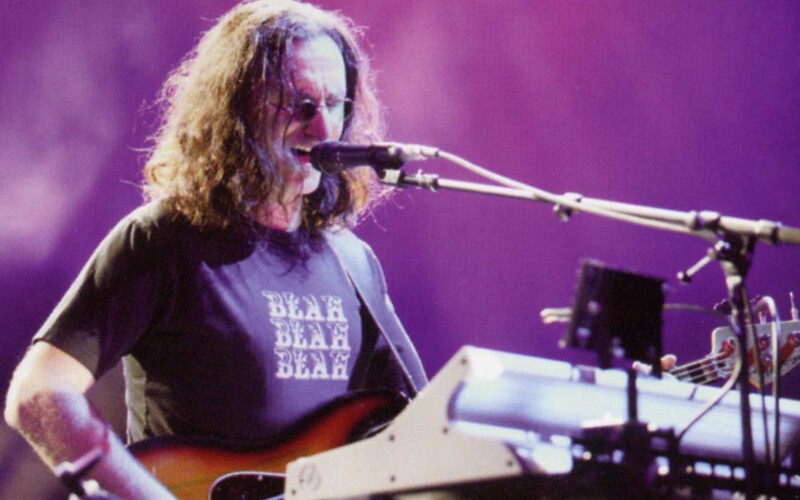 One day I walked into the control room to see Geddy behind the computer screen, moving the sections of a song around on the digital recording. He looked up at me, then nodded toward Nick, "Booujze here wants us to try changing the chorus in 'Spindrift.'" By October we had eleven songs completed in rough form, and some dominant lyrical themes were evident. Thoughts on spirituality and faith were woven into several songs: "Whirlwind life of faith and betrayal," as hinted in "Far Cry," and further expressed in "Armor and Sword," "The Way the Wind Blows," and "Faithless." Other lyrical themes include a twist on the time-honored "relationship songs," framed along the lines of Robert Frost's epitaph, "I Had a Lover's Quarrel With the World." In "Spindrift" and "Good News First," for example, the lyrics are deliberately presented in the context of a "lover's quarrel." The addressee, though, is not a "significant other," but a significant proportion of the whole, wide world-as expressed in "The Way the Wind Blows," all those people "Who don't seem to see things the way you do." 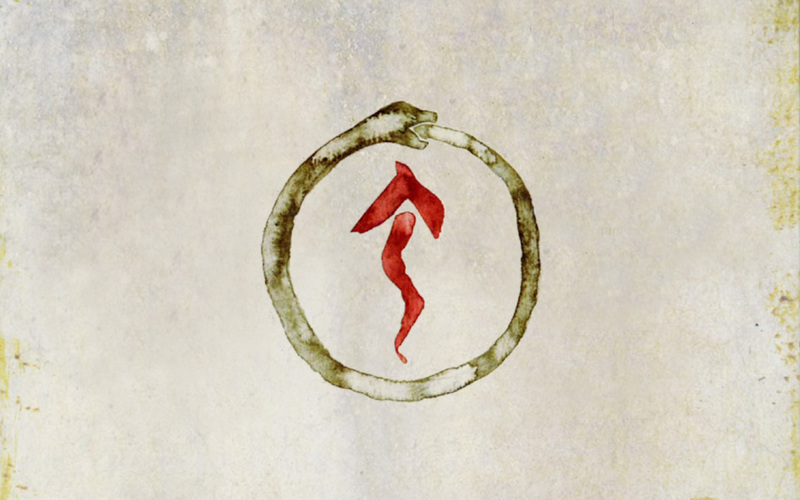 The same "lover's quarrel" device colors the album's final statement, "We Hold On." (With a nod to T.S. Eliot for "measured out in coffee breaks.") If many of the other lyrics illuminate the struggles we all have to face, in love and in life, this one shows how we deal with it: We hold on. 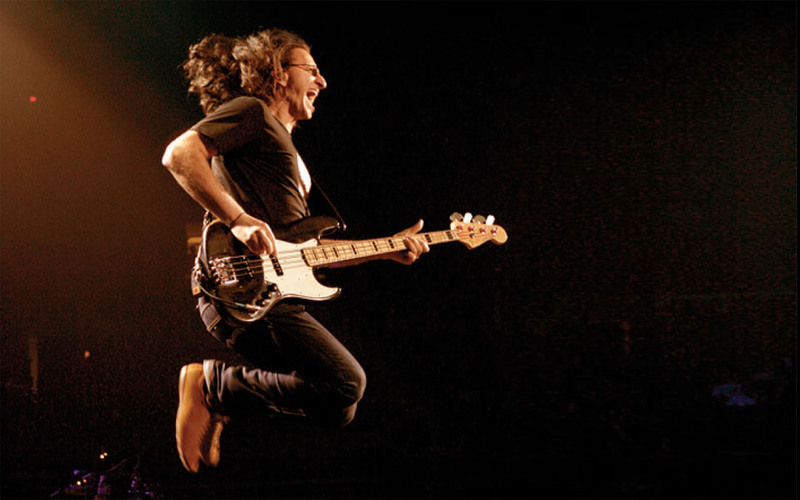 Geddy adapted "Workin' Them Angels" from the verses that open my book Traveling Music, which closed that circle nicely. In a similar loop, the title for "The Larger Bowl" came from a bicycle trip in West Africa, as described in The Masked Rider, when a song with that title wafted through a feverish, hallucinatory "dysentery dream." Waking in a sweaty tangle of twisted sheets, I only remembered the title, but I knew I had to write that song. Make a dream come true, as it were. Back in the early '90s, I gave that title to some words partly inspired by the dream's location, Africa, about life's unequal "fortunes and fates." The front of my rhyming dictionary had an index of traditional verse patterns, and I tried writing in some of them - as an exercise, like solving a crossword puzzle. Among sonnets, villanelles, and sestinas, I particularly liked a Malay form called the pantoum, and wrote several lyrics using that scheme, including "The Larger Bowl." 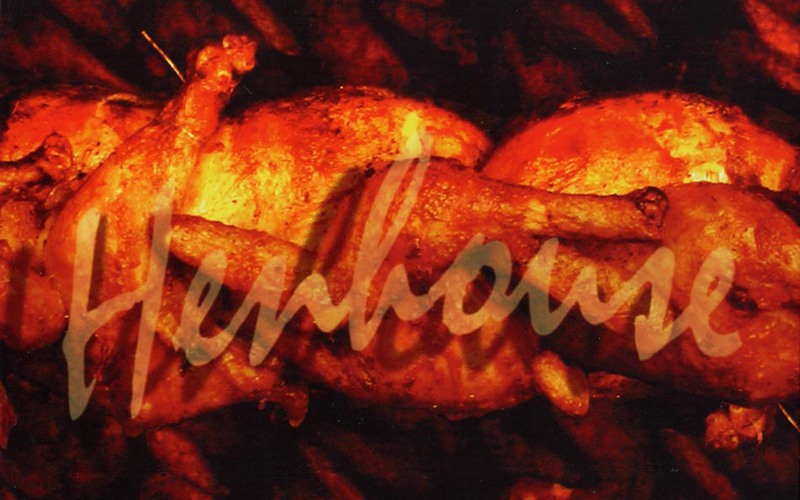 However, I never even submitted them to my bandmates until this album - fifteen years later. It must have been the right time, because, to my delight, Alex and Geddy responded to the challenge of "The Larger Bowl," and its unusual construction. Musically, the song seemed to benefit from stylistic influences we discovered, or recovered, during our Feedback project, when we recorded a number of cover tunes from our earliest influences. 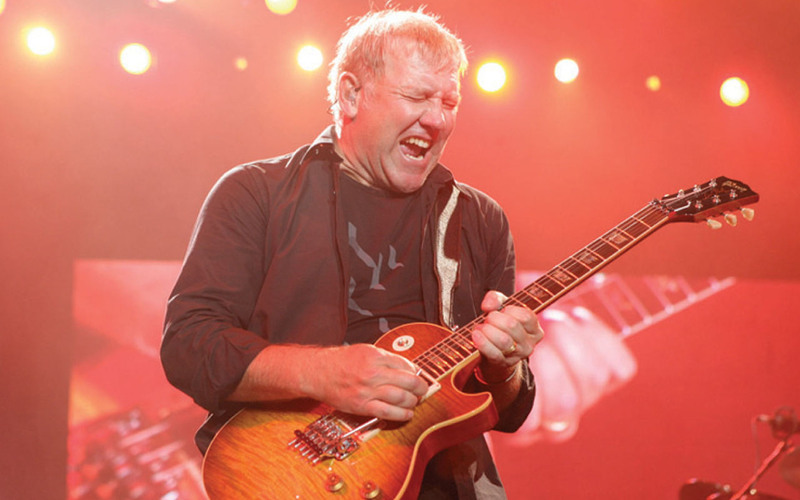 That spirit of youthful enthusiasm, and the spirit of the '60s, is alive in several of these songs, from the blues sections in "The Way the Wind Blows" to the "feedback solo" in "Far Cry," and the simple rhythm section backing for the melodic guitar solo in "The Larger Bowl." 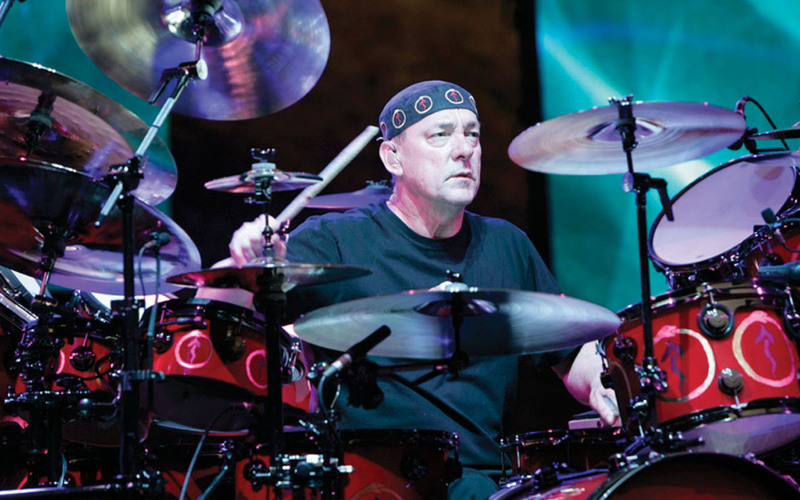 And speaking of the all-important rhythm section, I had been working hard on my drum parts, too. While Alex and Geddy wrote and arranged in the control room, I could play my drums in the recording room without disturbing them. Several times a day I took a break from lyric writing and went in to play along with CDs of their song sketches, and two nights a week Alex stayed late to be my "producer," so I could record my ideas and see how they worked. As a drummer, it has become apparent to me that am I more of a "composer" than an "improviser," yet I still face every new song by imagining everything that might possibly fit. Determined not to repeat myself if I can avoid it, I search for new approaches to parts, and different kinds of fills. In that spirit, I played through all of the songs many times while I experimented, and that helped to "groom" my performances, make them smoother and more finely detailed. In November we began the final recording at Allaire Studios, a rambling residential studio in the Catskill Mountains of New York. 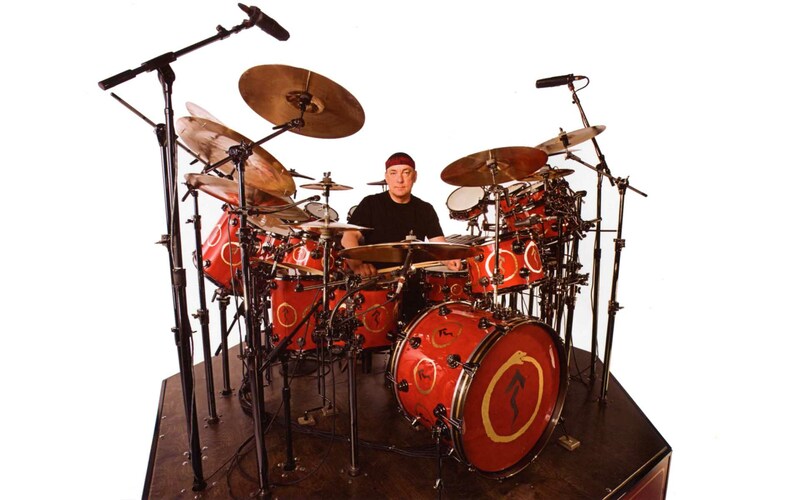 In the summer of 2005, I had filmed an instructional DVD, Anatomy of a Drum Solo, at Allaire, and had loved both the recording facilities (a large room of wood and stone, the estate's former Great Hall, sounded terrific for drums) and the friendly, comfortable atmosphere of the place. The view from the studio windows looked down over a forested valley and far across to receding round peaks - and the food was good! After a little scientific mic-placing and knob-twiddling, and some impromptu jam sessions, we got down to work. After more than thirty years of recording together, the three of us felt we achieved our best results by concentrating on one performance at a time. Even if we were playing alone to a recorded guide track, it was still us, and we "meshed" automatically. 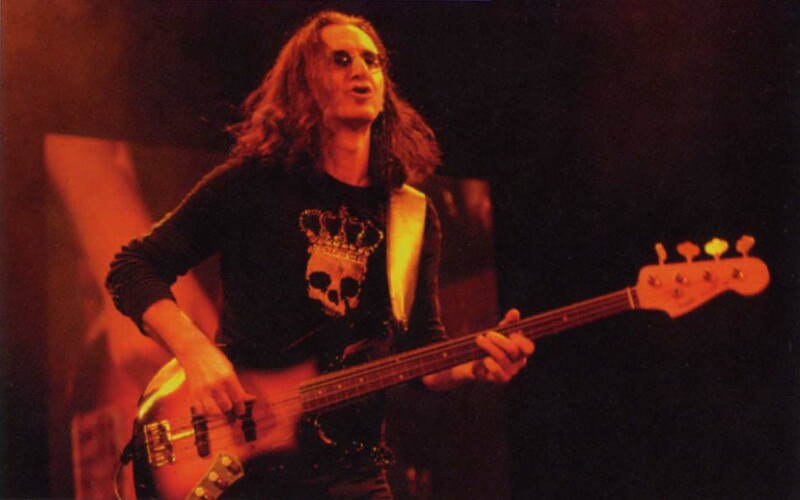 Still, we remained open to other methods, and at Booujze's direction, sometimes I recorded the drum track to the guide by myself; sometimes Geddy and I played together; and sometimes Booujze wanted all three of us out there. Once he was satisfied that we were getting the most from each part of every song, we concentrated on getting the best drum performances. 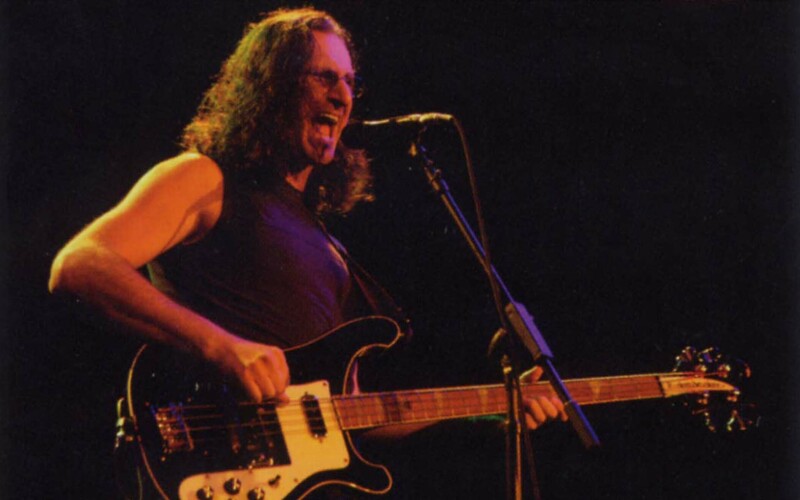 Then Geddy could take a similarly focused approach to rerecording his bass parts to them. We had only planned to stay at Allaire for two weeks to get those basic tracks done, then move back to Toronto to overdub final guitars and vocals. However, everybody found the atmosphere at Allaire so comfortable, and so conducive to getting good work done, that we ended up staying for six weeks, and recording everything there?often all at once. 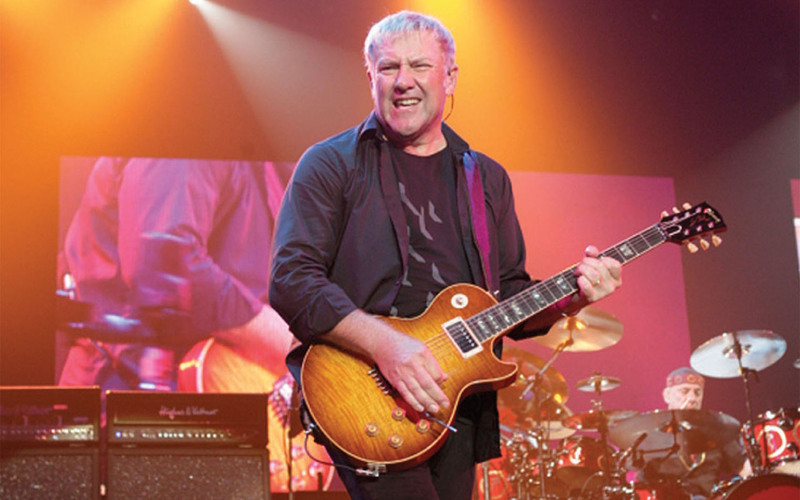 Allaire was equipped with two complete studios in different parts of the compound, and thus Rich and Alex were recording guitars in one room, while Booujze and Geddy worked on vocals in the other. 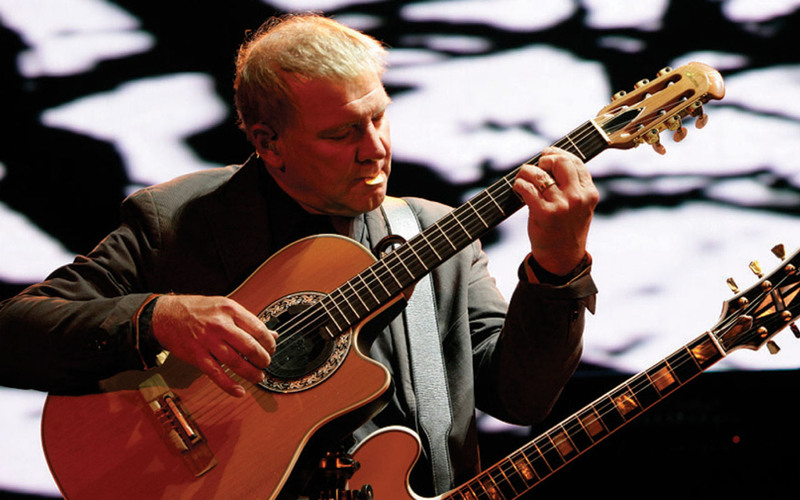 In a single, inspired performance, Alex recorded his eclectic and poignant solo guitar piece, "Hope," which also has qualities of spirituality, and raw sophistication. He chose the title from the line in "Faithless," "I still cling to hope," and like that song, "Hope" is a kind of secular prayer. 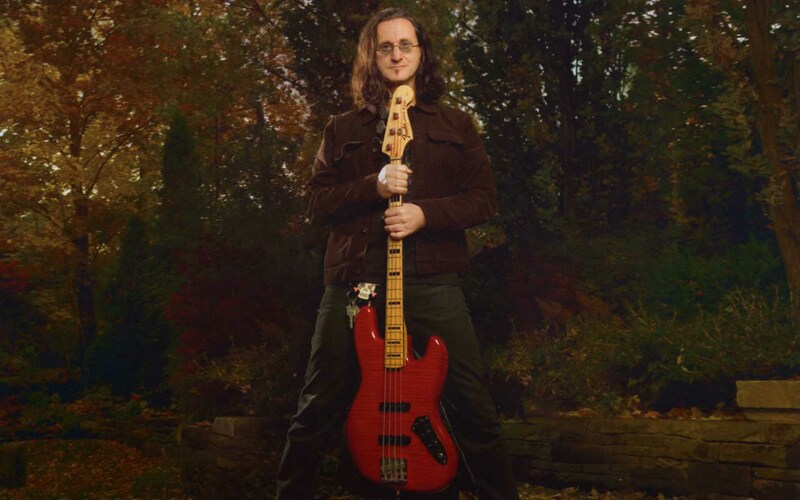 Toward the end of the sessions, Geddy was playing with a fretless bass between vocal takes, just riffing aimlessly, and Booujze was getting excited. He started recording some of those figures over the vocal mic, and fired us up with the idea of putting them together to create a short, quirky instrumental. This inspired the thirteenth track, for luck, "Malignant Narcissism" (an apt title for an instrumental with bass and drum solos, it came from Team America: World Police). For everyday use, that mouthful was soon abbreviated to "MalNar" (cue robot voice, "We are from the planet Malnar"). I had left a little four-piece drumset in the studio for Booujze to play around on, and I ended up recording "Malignant Narcissism" on that. Just for fun. Nearing the end of December, that spirit of fun, inspiration, perspiration, spontaneity, efficiency, and isolation (little to do but work) had sped the recording along, and we were done months ahead of our best-case scenario. More importantly, we enjoyed our time working together more than we have in years (maybe ever), thanks to the great conditions at Allaire and our "dream team" of Rich and Booujze. 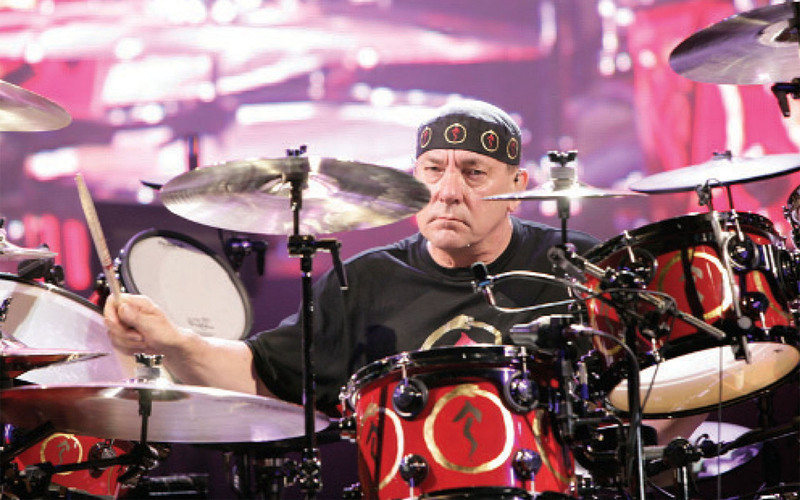 As I said to them on the day the drum tracks were finished, "I have never enjoyed the recording process so much, nor felt so satisfied by the results." That's saying something, believe me, after nearly thirty-three years and I don't know how many recordings. And they didn't seem to mind escaping January in Toronto for Southern California. One day Geddy reported that Toronto was exactly a hundred degrees colder?a balmy 80 degrees in Los Angeles, and a 20-below wind chill in Toronto. While waiting for Rich (now "Arch," for his spot-on imitations of Archie Bunker) and Booujze to put together a mix for our approval, there was plenty of time for, say, tennis and golf. By then we had settled on the album title, Snakes and Arrows, which came about when I was working on the lyrics for "Armor and Sword." In turn, that title metaphor had been developed for my book, Roadshow, to describe the "good" kind of faith as being armor, while the "bad" kind of faith is a sword. While I was working on those lyrics for "Armor and Sword," the battlefield imagery reminded me of a line, "Where ignorant armies clash by night," from a poem I half-remembered. It turned out to be Matthew Arnold's magnificent "Dover Beach," and I was so excited by its synchronicity with my own preoccupations in many of these songs that I had to put in one line from the poem, as a tribute, "Confused alarms of struggle and flight." I was also thinking, like Richard Dawkins in The God Delusion, about how children are usually imprinted with a particular faith, along with their other early blessings and scars. People who actively choose their faith are vanishingly few; most simply receive it, with their mother's milk, language, and customs. Thinking also of people being shaped by early abuse of one kind or another, I felt a connection with friends who had adopted rescue dogs as puppies, and given them unlimited love, care, and security. If those puppies had been "damaged" by their earlier treatment?made nervous, timid, or worse?they would always remain that way, no matter how smooth the rest of their life might be. It seemed the same for children. To express that notion, I came up with, "The snakes and arrows a child is heir to/ Are enough to leave a thousand cuts." I thought I was only combining Hamlet's "slings and arrows" with the childhood game "Snakes and Ladders," to make something less clichéd. 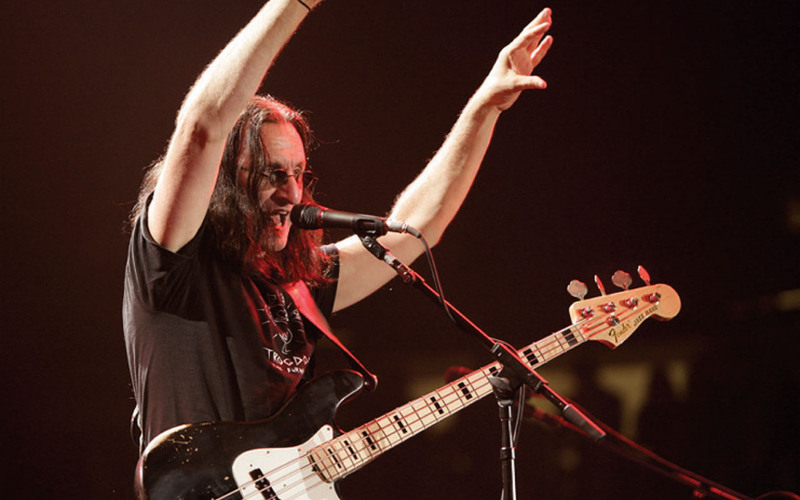 And indeed, when we were discussing Snakes and Arrows as a possible album title, Geddy remarked, "I like it because it sounds familiar, but isn't." One thing I have always done when we decide on a title is check to see if it's been used already. In the old millennium, that would involve a visit to the local record store and a flip through their master list, the Phonolog. These days, of course, it's a perfect job for a search engine. The Leela player rolls a single die, said to be affected by his or her karma, and moves around the board. Each square on the grid represents a stage of consciousness or existence, and the player is raised to higher levels by arrows, and brought low by snakes. The children's game "Snakes and Ladders" (sometimes "Chutes and Ladders") was adapted from Leela by the British during the 19th century Colonial period. After that, the original game almost disappeared? apparently only two gameboards existed in India when scholar Harish Johari revived the game and brought it to America in the 1970s. The Sanskrit chants that once accompanied each of the squares were lost, but a cosmos of spirituality (there's that word again) survived. When I told Alex and Geddy about the Leela connection, and showed them the gameboard painted by Harish Johari, they were as excited by all that serendipity as I was, and we agreed to use his painting for the cover. Hugh Syme and I began our always enjoyable collaboration of creating the other elements for the packaging - the presentation - and images for each of the songs. 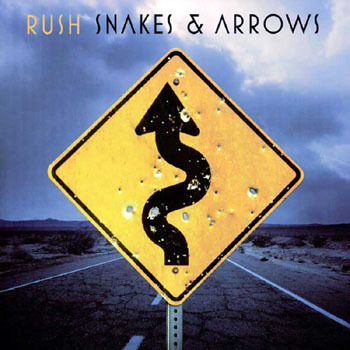 So, from the first demo to the final cover, that's the story of Snakes and Arrows. Or a few of them, anyway. If every song is a story, every song has many stories, too. 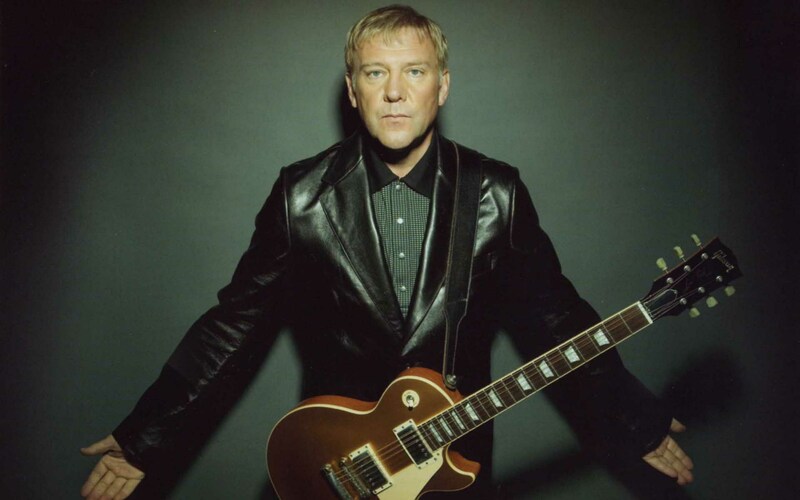 The elaborate instrumental, "The Main Monkey Business," was certainly the most painstaking song of all to write, arrange, and record (it took me three days just to learn it). 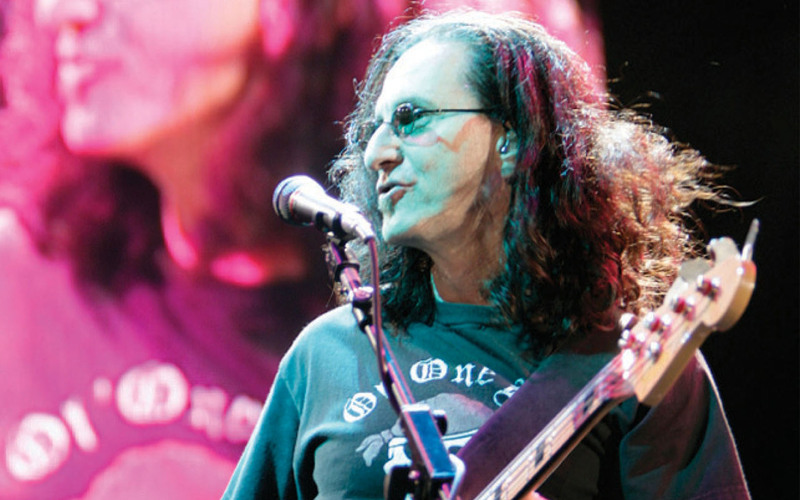 Its title comes from a conversation Geddy had with his Polish mother. Talking about a cousin of theirs, she said, "I have a feeling he's up to some monkey business." 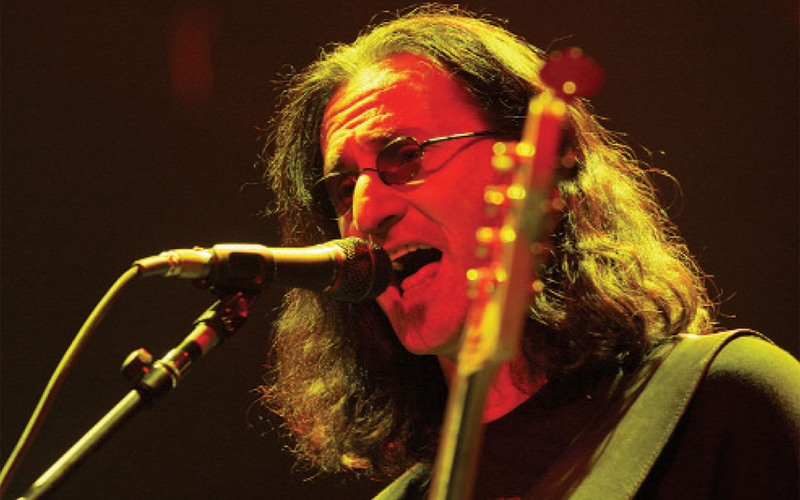 Geddy laughed, saying, "What kind of monkey business?" "You know," she said, with Old World wisdom, "The main monkey business." 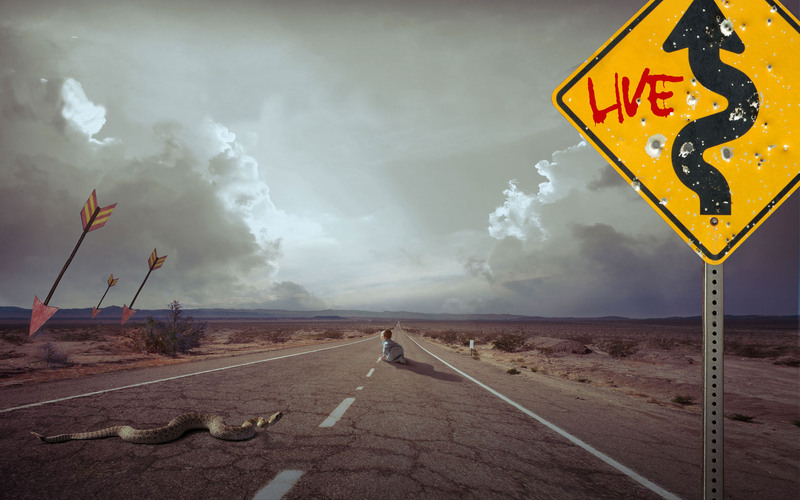 And so it can be said that Snakes and Arrows offers some monkey business, some spirituality, some lover's quarrels with the world, some raw sophistication, some dysentery dreams, some malignant narcissism, the spirit of the '60s, and the Tao of Booujze. It combines everything we know about making music with everything we love about making music. Yes, I know, and it's terrific to see you too. I dunno, but did you get a haircut or something because, wow! What? LOL... did I actually say LOL? I promised I'd never do that. No, it's okay, you just typed it. Tell us a little about how you prepare for one of your lively concerts, just the parts while you're awake. Well, it takes hours of intense thinking and questioning... yes, questioning why you're thinking so intensely so intensely. It's like a giant circular circle or a snake that's been man-made into a circle-like circle snake-but definitely not like a flying shark snake, which is usually on days off. So, Alexandar, let's go deep for a moment and travel back to May 12. It's 7 am and you're getting up. You walk down the hall, pass a mirror, glance fleetingly. You arrive in the kitchen to the prospect of a coffee. You have the coffee, shake your head and smile, you think, 'this is a good coffee day' when suddenly you stub your toe, drop the coffee cup, spill scorching hot coffee on your hot pants, slip on the wet floor, go flying, smash a vase when you crush the coffee table and coffee break the door off the dishwasher and totally break all the coffee cups ever. What was it you saw in the mirror? What? Where do you get all this stuff? That is amazing. Your research department is to be commended. I'm just blown away that you have all that. It's as if you were there. No really, that's something else. Huh? The mirror? What mirror? I didn't look into a mirror. Getting back to something I'd like to explore with you. I've watched ice melt and seen the wind die, the Leafs blow, I've been a wailin' on the high seas. If you could be a friendly insect, what would you be, and not hairy or anything? I've always had a hard time answering that question. There are so many insects, maybe hundreds, and really, how do you choose? What are the criterion? It's not easy, for sure. Maybe a salamander. You mean like Sal, a man, 'der? LOL again. In the car at the gas station while you were filling up an hour ago and you went in to get a coffee and... oh oh. I couldn't do that. I'd go crazy and I don't even like coffee but no one can make me quit if I don't want to, though I'm not saying I don't want to or quit wanting to or just plain wanting to quit. Exactly. I've been saying that for years and I'm finally relieved to know other serious, smart in brain people are making the think in headvoice ideas too. It's time to take a coffee stand and deciding stuff to make the world a faster place to live in. Well, we seem to have run out of time. I've quite enjoyed our conversation, as usual, and would leave you with this thought to ponder... but don't ponder too long, and when I say 'ponder,' I don't mean, like, PONDER, just think about it with your eyebrows scrunched up and like you're pondering around. Okay then, what is the absolutely best day of your life? Bold and brilliant! It's been a great pleasure. Thank you. 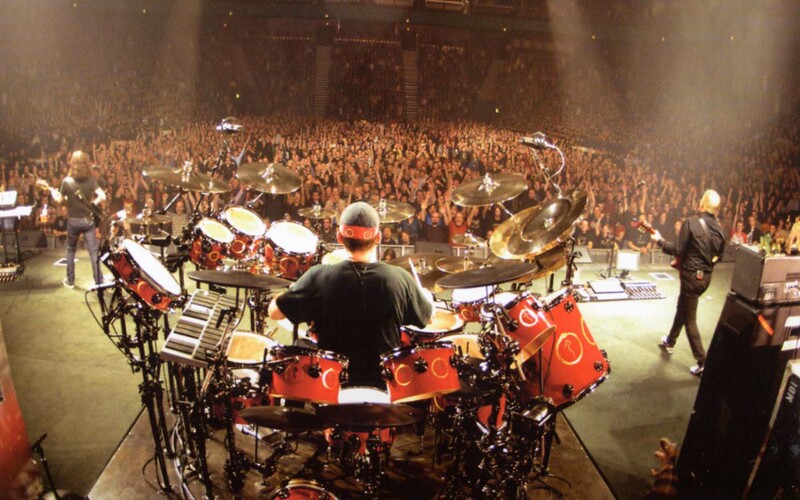 After the 30th anniversary tour, the guys at Drum Workshop and I agreed that the R30 kit ought to be retired. I felt that way because it had been a true centerpiece of that tour (sitting center stage every night, after all), and I wanted to keep that "specialness". The DW guys, led by John Good ("the Wood Whisperer"), felt that way because they thought they could do better. In 2006, they built me a "West Coast kit" on which I recorded a few songs for my friend Matt Scannell, as well as Snakes and Arrows. 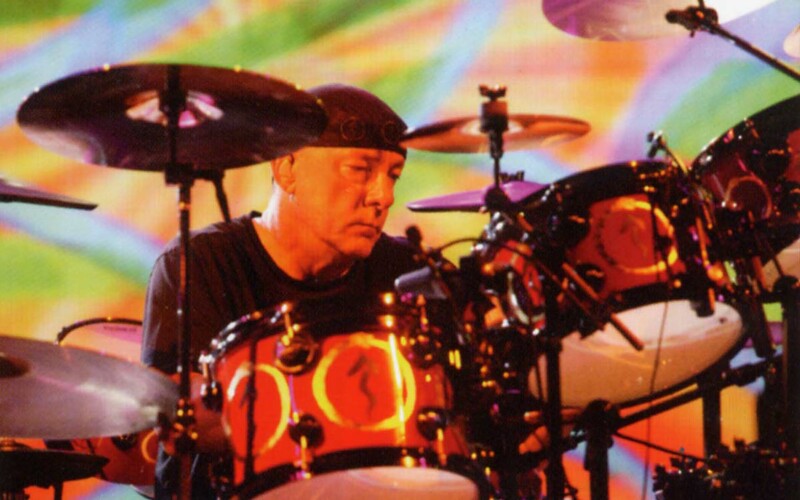 Everybody who heard those drums was blown away by their sound, but John continued to develop his ideas-combining different combinations of laminates for the shells, like his "Vertical Low Timbre" innovations. Just as the West Coast kit had eclipsed the R30 drums in tonality and resonance, these new ones take it to what my teacher, Freddie Gruber, would call "another place." 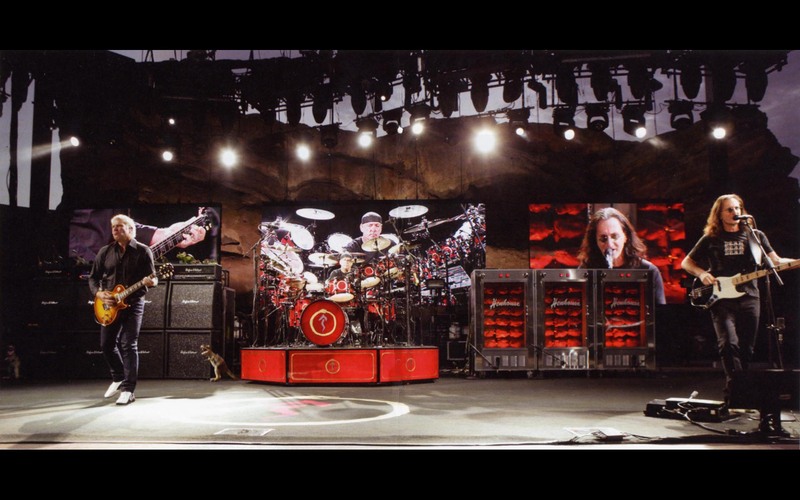 After I had rehearsed for a couple of weeks on the West Coast kit, my drum tech, Lome "Gump" Wheaton, put up the new ones, and I truly couldn't believe how different they sounded-how much bigger and warmer. 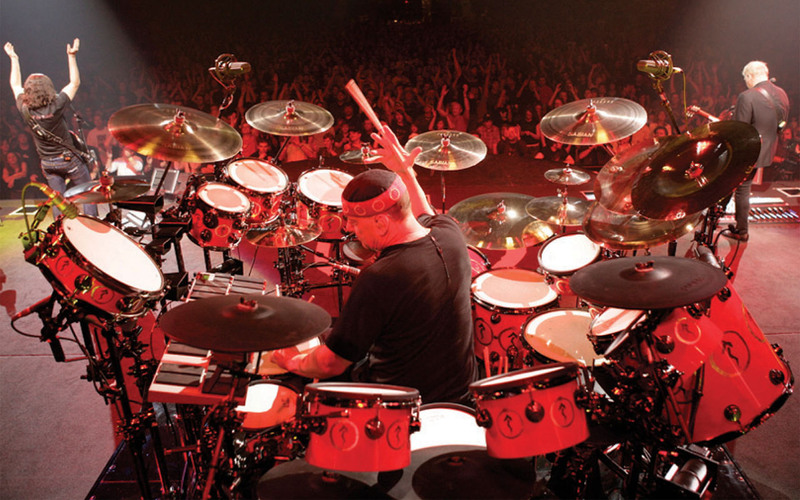 One of these drums actually is bigger-the 23" bass drum, which is another unique innovation of John Good's. 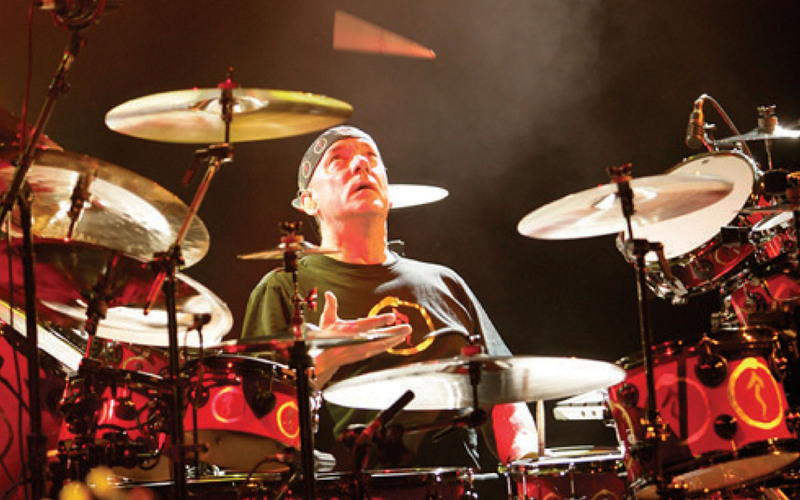 Back in the 70s, when Rush were opening shows, I used to be able to go out front and listen to other drummers. I noticed then that 24" bass drums had a particular "kick" (for once that word is apt), but I preferred the playability and dynamics of a 22". John suspected that the 23" would combine the best of both, and he was right. The "VLT" approach was also applied to the snare drum's shell, and it was another revelation-the best I have ever played, for both response and sound. The toms are 8", 10", 12", 13", two 15", 16", and 18", with DW's Coated Clear heads. Remo supplies some of the other heads, while the drumsticks are Pro-Mark signature models. In an earlier Web story, I hinted that "black is the new gold," and this time the hardware is plated in black nickel. Likewise, "red is the new black," the finish is Aztec Red, inset with a pair of logos Hugh Syme and I created for the CD package. The Greek symbol ouroboros, or snake eating its tail, surrounds a calligraphic rendering of my favorite road sign: the universal symbol for "winding road" (On a motorcycle or in a fast car, that's the best kind of "snake and arrow" you can see.) The repeating motif, in gold leaf and metallic gray satin over the Aztec Red, was created by DW's master painter, Louie Garcia (a true artist). The cymbals are my signature Paragons, by Sabian, with a 22" ride, 20", 18", and two 16" crashes, 13" high-hats, 14" "x-hats," 8" and 10" splashes, 19" and 20" China types-plus our new innovation, the "Diamondback," with tambourine jingles. O.K. It's that time when I am supposed to list the ekwiptment that I will be using on the Snakes and Arrows tour. But... does anyone really care what devices I use? Isn't the real question of interest, "Will you be using your dryers on tour again?" So, between rehearsals and preparing for my Rotisserie Baseball drafts, I decided to get professional help. After a few sessions, I started to feel much better. (Apparently it has something to do with my childhood... I dunno.) In any event, I contacted the ridiculously fashionable new amp designer, Henry Spencer, with the company, Un Peu de Poulet, for the absolute latest in cutting-edge stage gear. Together we have designed what I feel will set a new standard by which all other rock 'n' roll shows will henceforth be judged. 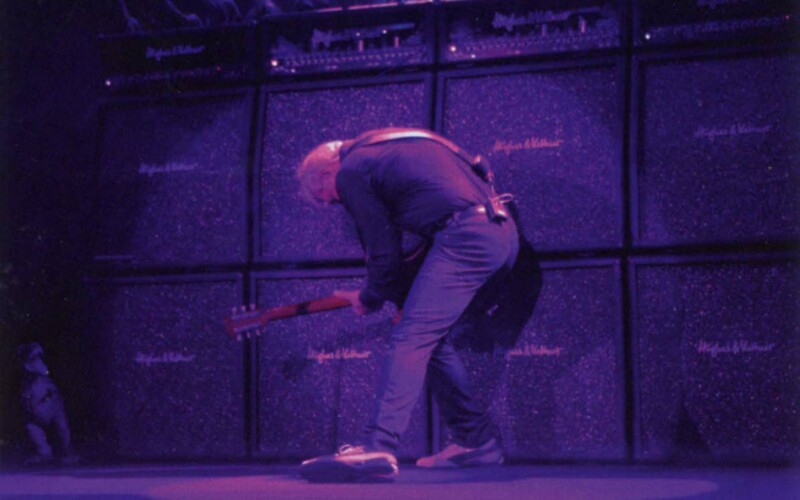 I'm sure I don't need to remind you that this is the man who brought you such famous amps as the the HENHOUSE and the MAN-MADE CHlCKEN-which in fact was no bigger than your fist! 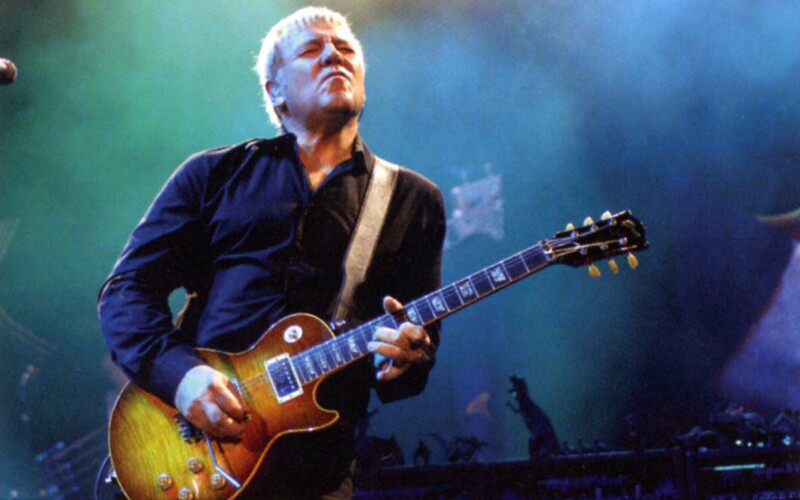 And he also developed the roasting hot KAPON, which guitarists (especially our own lovely and rapacious Alex Lifeson) have been using with gusto for many years. Despite the obvious negative side effects. 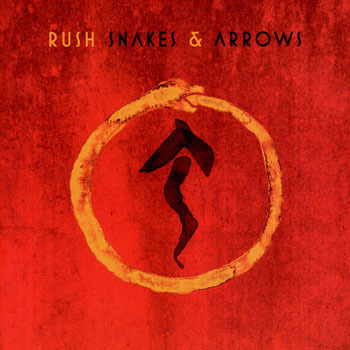 The Snakes & Arrows Live cd edition cover is a variation of an image which previously appeared in the linernotes of the studio album. 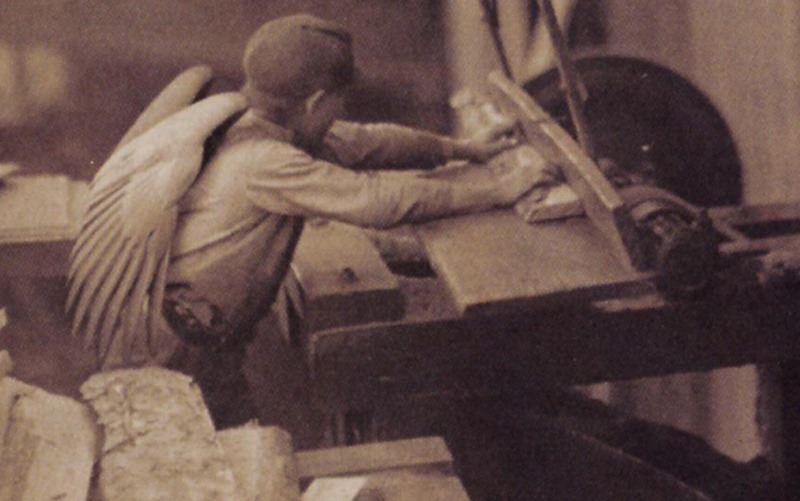 The "Workin Them Angels" image from the studio album reappeared in the live art, with the "angel" having received a tatoo. 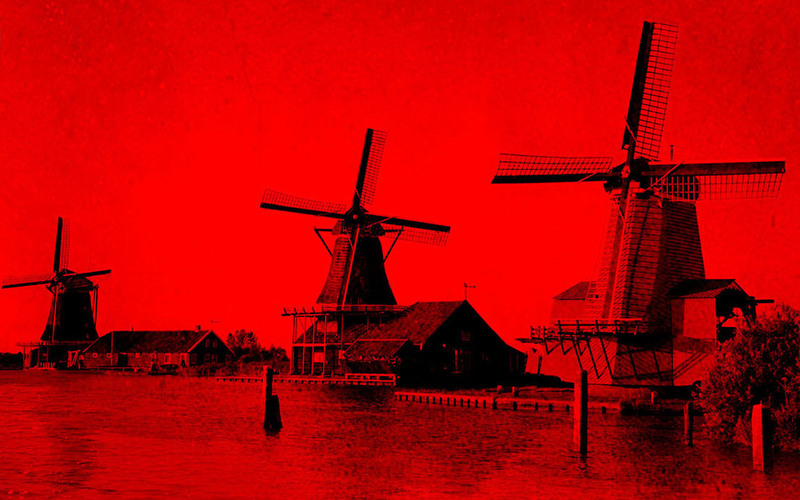 The back cover was greatly altered to remove the tracklisting; this image and background was frequently used on tour promotions. The highway image began as a photo Neil Peart took near Amboy, California. The giant arrows are nearly identical to those at the famous "Twin Arrows Trading Post", found on "Route 66" twenty miles east of Flagstaff, Arizona. 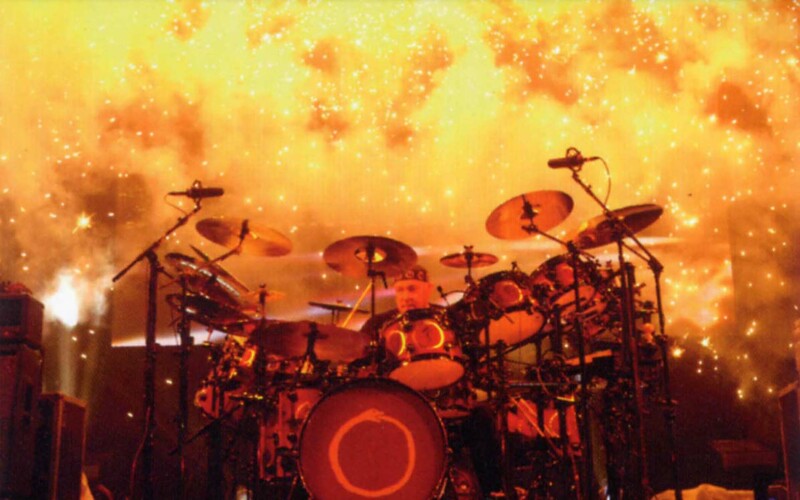 The cd linernotes also included the following images which concurrently appeared in the 2008 edition of the Snakes & Arrows Tourbook. The Snakes & Arrows Live video edition cover image is a minor reworking of the Snakes & Arrows 2008 tourbook cover; the remaining images are exclusive to the video linernotes. 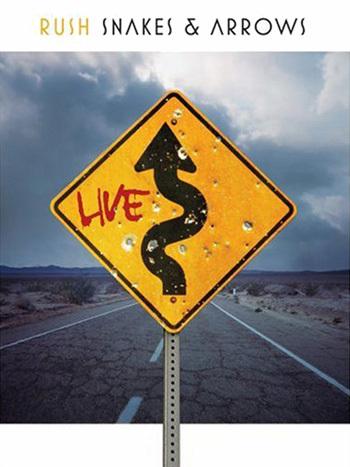 The Snakes & Arrows Live cd edition cover is a variation of an image which previously appeared in the linernotes of the studio album. The highway image began as a photo Neil Peart took near Amboy, California. 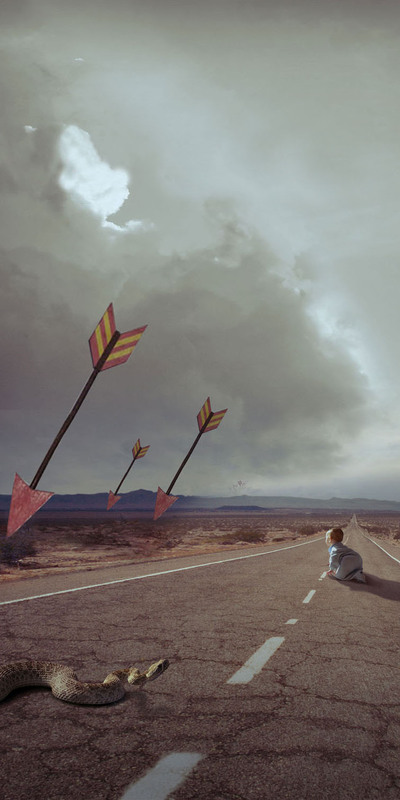 The giant arrows are nearly identical to those at the famous "Twin Arrows Trading Post", found on "Route 66" twenty miles east of Flagstaff, Arizona.